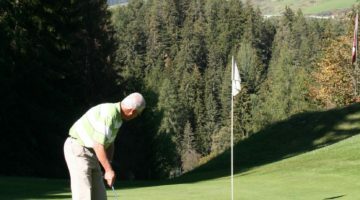 The Klosters 9-hole course in Selfranga is set in a beautiful Grisons landscape, taking full advantage of the breathtaking panoramas that extend over the mountains. The course, at just over 3,970 yards, is not particularly long, but still packs a lot in. The carefully cropped grounds and variations in both altitude and fairway design make for a highly interesting game. The key to success is empathy and precision. 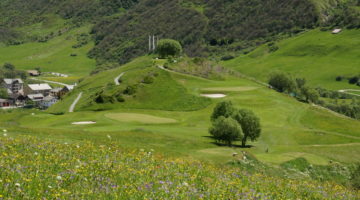 Unique in Switzerland is that green fees in Klosters also include a cart. 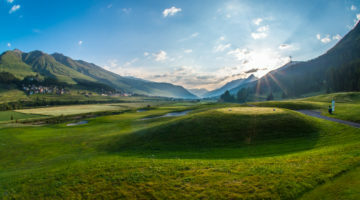 Why not enjoy an exciting round of golf in Klosters and take in the idyllic mountain landscape of Grisons at the same time. Driving range with 12 open and 6 sheltered tees, chipping- and putting green, practise bunker.